For all you Tech-Heads out there (and those that just like to know where they are at with their training), here is a great site that reviews all of the current brands of Heart Rate Monitors & GPS devices that are on the market. I reckon if you need it or want it – it is here! It reviews devices for running, triathlon, paddling cycling and multisport activities. I personally recommend anyone over the age of 40 wear a Heart Rate Monitor whilst training. Firstly because it gives you a good indication of how you are training and feeling on a particular day. Secondly, it shows your recovery time after efforts which is a great indicator of fitness. Thirdly, it is an ideal tool to have if you are watching your weight and counting calories, and lastly, it gives you permission to slow down if you are working too hard, and also tells you (or your trainer) when you can work harder or give yourself a kick up the backside! It can also indicate when illness or over-training are imminent. I’ve always been a Polar fan, but there are many new products on the market and it is worth looking into all of the brands and features available. Some are simple, and for some of you that’s all they need to be. Others offer many more technical features that can be used effectively to help you improve performance. It’s really a case of ‘horses for courses’ as everybody has different needs and wants, and of course you need the technical know-how to be able to use the thing! For me, I am glad I have a teenager in the house! Knock yourself out and have a look! A great local event held on Lady Carrington Dr at Audley. This event has something for everyone – 1km, 2km, 3km, 5km, 10km, and 21.1km (Half). 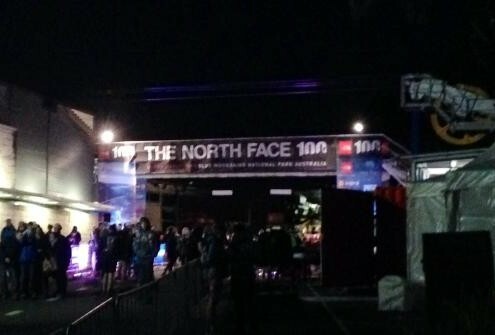 This weekend saw the 7th edition of The North Face 100 & 50km in the Blue Mountains. The year brought a new start and finish line, a new course and lots of new challenges. The EF team took on all of these challenges head on and all crossed the line, which in a race with a 1 in 3 DNF rate, is an achievement in itself. Well done guys and rest well.